Small cracks in foundation walls are common in homes throughout the Tennessee and Kentucky area. Usually a side effect of the natural curing process of concrete, these cracks usually do not threaten the foundation. However, even small cracks in a foundation can be a major problem if they leak groundwater into your basement or crawl space. If you'd like a free foundation crack repair quote, contact us today! 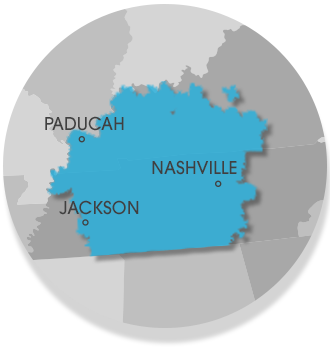 Frontier Basement Systems provides service to Clarksville, Nashville, Jackson, Owensboro, Murfreesboro, Bowling Green, Philpot, Utica, Fayetteville, Marion, Leitchfield, Franklin, Mcminnville, Paducah, Shelbyville, Hartford, Antioch and surrounding Tennessee and Kentucky areas.